While a part of the opposition was trying to break through the police cordon, the new president-elect Salome Zurabishvili’s inauguration was taking place in the historical city of Telavi. Only small groups were able to get into Telavi in order to protest. In the days to follow two political activists from both sides were detained: a representative of the opposition – for violent resistance to the police and a supporter of the new president – for assaulting a representative of the opposition. Zurabishvili’s emigrant ancestors came from Telavi. And even though the new president-elect did not enjoy the support of the local voters, she made a statement saying that she is going to the city she lost in order to demonstrate her willingness to be a president for all citizens in the country including those who did not vote for her. The president-elect has already moved in to a new, more modest and yet to be completely remodeled residence while already being criticized for another reason. As a result of hasty consultations with civil society representatives, Zurabishvili introduced three candidates for the head of the Central Election Commission (CEC) including the acting CEC head Tamar Zhvania. According to the opposition, she was “paid back” for her “objectivity” during presidential elections and deserved her re-election as CEC head for a new term. Zurabishvili’s opponents, the National Movement, do not recognize the election results and have declared a boycott in the parliament. According to the new rules of the procedure, any party can declare a boycott based on their political beliefs. “There is a special session on Saturday. Moreover, there will be two more sessions next week, which we will miss fully abiding with the rules of the procedure as a sign of political protest, therefore, yet another time stressing the fact that there is terror and political persecution in the country”, – says the United National Movement (UNM) statement. The opposition did not spare even the General Secretary of the ruling party, mayor of Tbilisi Kakha Kaladze, who was making an annual report in Tbilisi Sakrebulo (the city council). Saakashvili’s party, disappointed with the city budget project, obstructed and left as a sign of protest. Yet it is obvious that the bipolar party system functioning in the country is rather problematic due to its high polarization. Other political powers are necessary, a third power is needed. However, given the conditions of the radical political discourse, it is difficult to find a place for a new power in this political landscape. The parliament majority is likely to make another New Year “gift” to the democratic society supporting judicial reforms. The members of parliament are planning to approve 10 judges for the Supreme Court of Georgia, introduced by the High Council of Justice. The People’s Guard of Georgia, civil society, political opposition, and other members of the High Council of Justice (not judges) have declared a strong protest and called for Parliament not to make hasty decisions. The reason for this development is simple: these judges have long been severely criticized for their past. Furthermore, the selection procedure itself is not transparent and the criteria are not clear. According to some experts, the parliament may postpone this decision until spring. Georgia improved its performance in the Global Competitiveness Index by World Economic Forum 2018, taking the 66th place among 140 countries. The country was able to move a position up against last year. The most concerning findings from the World Economic Forum report included the weakness of the country’s financial system and the possibility of implementing innovations in Georgia. Transparency as well as implementing information and communication technologies were named among Georgia’s positive developments. Georgia ranked 6th in Ease of Doing Business World Bank Doing Business-2019 ranking, and without a doubt, that is a serious achievement. Moreover, in the Forbes Best Countries for Business ranking Georgia moved up to take the 44th place among 161 countries. Georgia improved its performance by 8 positions against last year. “Georgia’s performance in top rankings promotes a higher level of trust to the business climate in the country among those seeking to invest in Georgia”, said the country’s business ombudsman. What has Russia got to do with Lugar? It is yet another time that Georgia’s Lugar biological laboratory was the center of attention of Russia’s top authorities. The head of the federal service for the oversight of consumer protection and welfare Anna Popova started her briefing with pointing out a serious threat the Lugar laboratory located in the vicinity of Tbilisi poses to Russia. Ms. Popova also mentioned the events last summer, when Russian tourists including children developed acute enteric infections while traveling in Georgia. According to Anna Popova, Russian doctors believe that this incident may have been related to genetically modified bacteria. The Russian president Vladimir Putin has also mentioned the subject recently. When speaking during the session of the Valdai Club in Sochi, he said that biological weapons capable of causing genetic mutations are allegedly developed there. 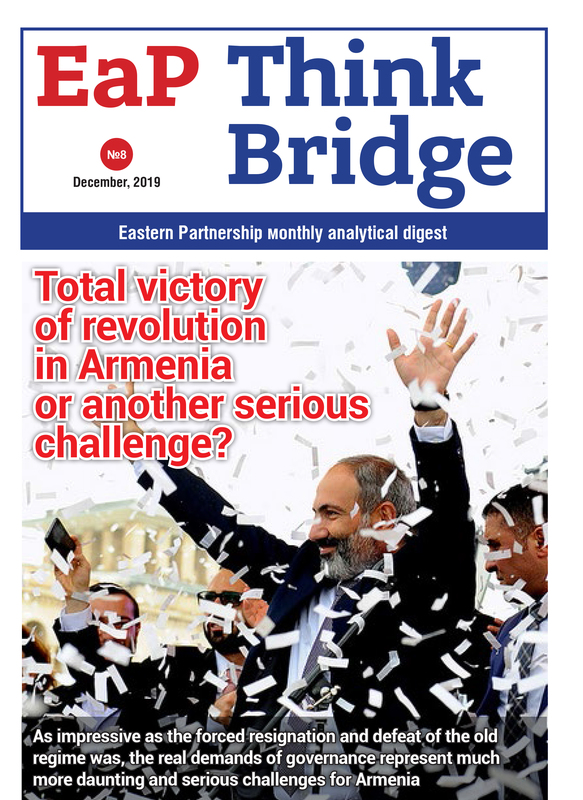 Despite the Georgian side being very open and transparent on the issue and having invited experts to monitor the lab activities on multiple occasions, the frequent questioning of the laboratory activities by the Russian side continues. This spawns another line of questions and warnings regarding Russia’s specific goals.